We are receiving more and more customers from Harrogate and the surrounding area requesting wood burning stove installations. The main reason is the proximity of Harrogate to surrounding towns and cities. The main roads through the town are the A61, connecting Harrogate to Leeds and Ripon, and the A59, connecting the town to York and Skipton. Harrogate is also connected to Wetherby and the A1, by the A661. The town is a dormitory town for commuters working in Leeds and Bradford. 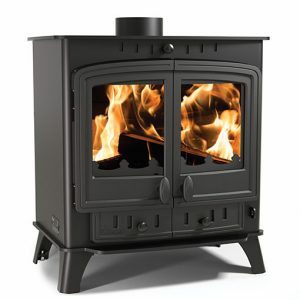 Here at the Leeds Stove Centre, we aim to offer the widest choice of wood burning stoves. We have a great selection from brands like Villager, Aarrow, Gallery, Carron, Hunter, Eco Ideal, Parkray, Cleanburn, Broseley, Westfire, Dik Guerts and Stovax. The majority of these are DEFRA approved stoves for those living in smoke controlled areas. We have an extensive showroom with four floors which is located in Leeds. At our showroom you can actually see live working displays of stoves to get a feel of how they look and can heat your home. Our number one priority is to supply our customers with long lasting, quality built, wood burning stoves. We supply, install and maintain wood burning and multi fuel stoves and fireplaces in Harrogate, York, Wetherby, Leeds and all surrounding areas. We not only install stoves and flue systems, we also supply and fit fireplaces and solid oak beams too! We pride ourselves on offering honest and impartial advice, value for money and excellent customer service, as can be seen in our reviews on Facebook and Google Plu s. Our highly experienced and HETAS trained installers can fit your new stove and flue system complying to the highest of standards. If you would like to book a free installation survey please don’t hesitate to contact us on 0113 255 5622 or if your have any queries.